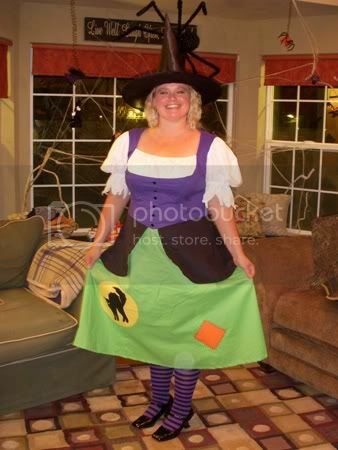 Update 11/17: I've added in photos of the costumes being worn. 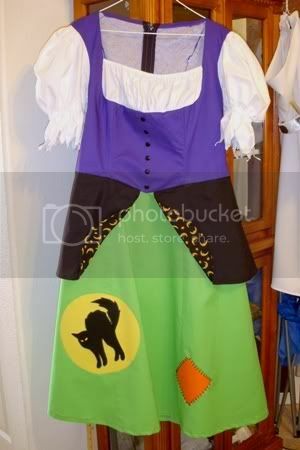 You can see my second post about the Saloon Girl, Bar Maid, and Chef Gordon Ramsay costumes here. I've been a little busy lately because of my attempt to sew seven costumes for Halloween this year (only one is for myself, the rest are for friends and family). So far I've finished three, all of them for friends: a cute witch dress, a child's Princess Leia dress and belt, and a Jedi outfit. Here are some preliminary photos and descriptions of the projects (I'll have photos of the costumes on their wearers after Halloween). 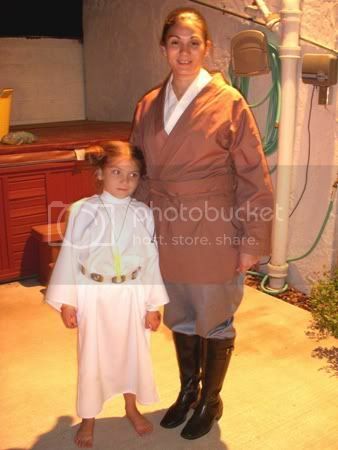 What I Did: This costume was sewn pretty much according to the pattern. For the peplum (the black thing around the waist) I ended up having to put an extra layer of black under the outer layer to keep the printed inner layer from showing through. 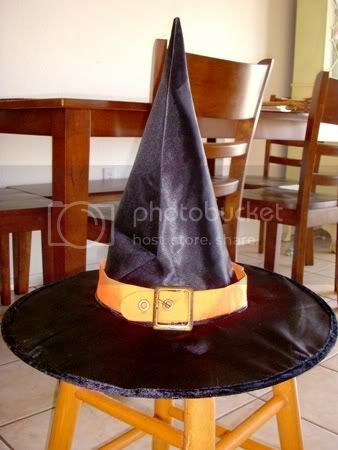 For the hat I sewed a little orange belt and attached a buckle, then sewed it to a standard witches hat. 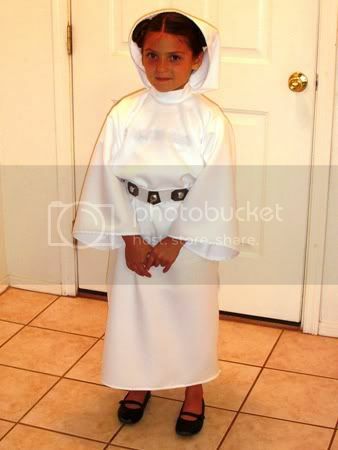 What I Did for the Dress: I started with an angel costume from the Simplicity pattern to figure out the size. I altered it so that the body of the dress was all one piece with the only seams being under the arms (there were no shoulder seams). 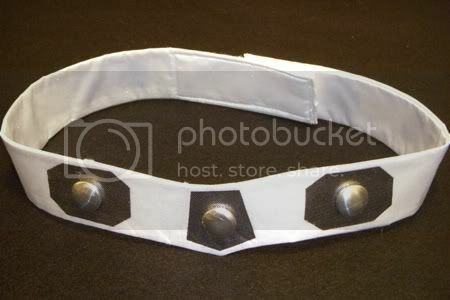 I altered the neck to add a Mandarin collar with a velcro closure and a keyhole opening below the closure to make room for it to go over the head. 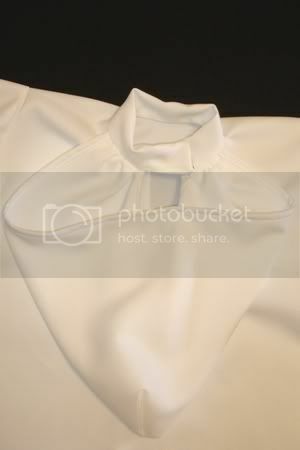 I made a hood and sewed it into the neck seam on either side of the closure. The sleeves had to be shortened a lot and the extra angel "flaps" were removed (I probably should've started with the standard sleeves, it would've saved me some time!). I left the side seams of the dress unsewn from the knee down to make slits (I did do a little hem on the raw edges). What I Did for the Belt: I made a pattern out of newspaper for all the pieces based on the belt information at Obi-Wan's Jedi Academy. 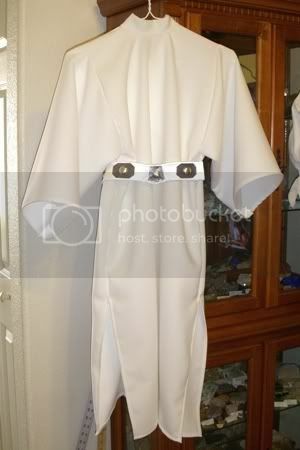 For the body of the belt I used two pieces of white costume satin with a thick piece of interfacing in between and velcro sewn at either end for closure. For the metal octagons and petagon I used silver fabric attached with fusible webbing. I then hot-glued 3/4 inch button blanks on top of the silver shapes. 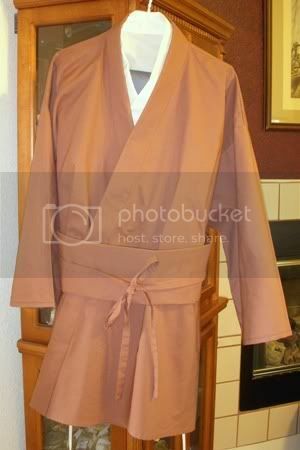 What I Did: This is sort of an "early Obi-Wan" costume (no robe!). 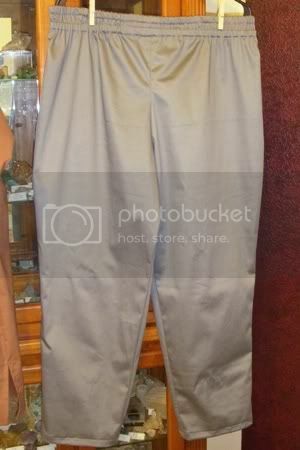 The Simplicity pattern did not come with a pattern for pants so I borrowed one from a McCall pattern I had handy. Sewing so many different costumes has been hard work but I'm also learning a lot. I have four more costumes planned: saloon girl, Chef Gordon Ramsay, Heidi/German bar maid, and Gary Cooper from High Noon. The last one is for my dad and might not get finished before Halloween, but he's said he can wait.